At 2 ft. deep, the Gladiator Premier Modular Gear Drawer Garage Cabinet provides superior storage capacity over standard 18 in. deep cabinets. The 5 adjustable drawers ride on full-extension, ball-bearing slides for smooth operation and feature cushioned liners. Safely house your equipment out of reach with built-in locking doors and a round drawer lock. This heavy-duty steel cabinet is as tough as it looks. The Ready to Assemble Full Door Modular GearBox offers accessible storage for a variety of tools and garage gear. For even more versatility, add the optional Ready to Assemble Caster Kit (GACK04KDSX) or 28 in. Bamboo Top (GAAC28BAYX). Like many Gladiator products, this cabinet is backed by a 10-year limited warranty. The 30-inch (76.2 cm) Gladiator Select Wall GearBox comes with heavy-duty welds for ease of installation and long-lasting durability. The stylish, highly versatile Everest White finish fits into any environment as your storage needs change. When installed on Gladiator GearWall Panels or GearTrack Channels with the included hanger bracket, this storage cabinet is simple to reposition. 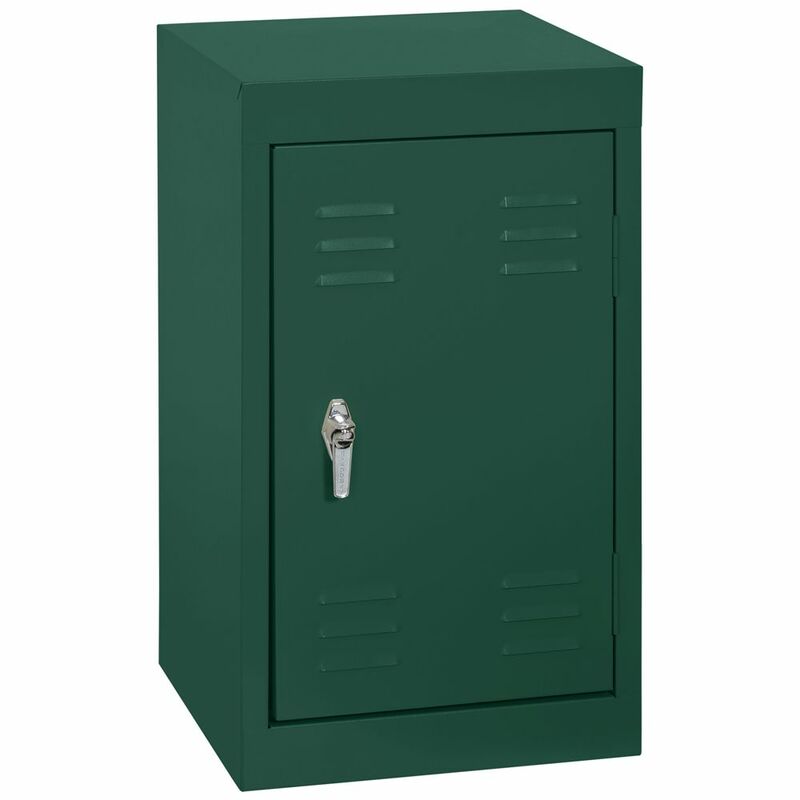 15 Inch L x 15 Inch D x 24 Inch H Single Tier Welded Steel Locker in Forest Green These designer steel lockers are built to last and feature cool colours that kids and teens will love. Great for storing school supplies, books, back packs, clothes, shoes and much more. All lockers are Greenguard Certified.